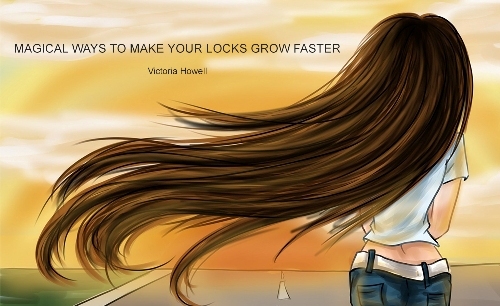 Tired of waiting and want to make your locks grow faster? Learn simple ways of accelerating your hair growth, which work like magic! Experts at NYC Hair Salon underline the importance of proper scalp care because healthy hair starts with a healthy scalp. If you want to maintain it well, you should treat your scalp with regular massages. They will help to enhance bloodstream, promote hair growth, and simply to relax! Your hair is what you eat, especially if you want to make your locks grow faster. A healthy diet will create a favorable environment for a more rapid hair growth. There are certain foods, which can accelerate this process of growing your hair. We recommend enriching your everyday diet with high-protein products! Sometimes hair breakage becomes a significant obstacle on the way to longer hair. Experts at NYC Hair Salon recommend strengthening your hair first if you want to grow it out. Rich nourishment is the main prerequisite of a strong hair, that’s why you should treat your locks with a regular conditioning! Heat is the main source of hair damage, that’s why you should be careful. We recommend staying away from heated tools for some time. If you can’t resist this temptation, you should definitely provide your locks with a thorough thermal protection and use the lowest temperature setting. Proper moisture balance is an extremely important element of healthy and strong hair. If you maintain rich hydration, your locks will be more likely to grow faster than you can possibly imagine. Use products with moisturizing properties and drink enough water to keep your hair hydrated!